Welcome to the surprise and completely unplanned first week of I Made It! 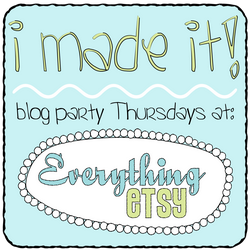 – a new blog party we’ll be hosting here every week at Everything Etsy! I’ve been thinking about doing this forever, but never got around to it. So when the chance came up this morning to get my in-house button maker and tech guy to make me a button and set up a McLinky, I took it! Every week, we’ll have a blog party with a “linky thing” for you to show-off your posts featuring anything creative that you want to tell the world about! We’re all about the movement of handmade and we want to do everything we possibly can to help spread the creative fire. We really hope that this helps you do that! There are no categories, except the one clear one… YOU made it! At the end of this post, there is a place to enter your info. A box for your name where you can add a word or two about what you made, such as “Kim @ Everything Etsy – Sachets” (we’ll adjust the character limit as we move forward, right now it’s 50 characters). And another box for the address to your post. Make sure you use the link directly to your post, not just the home page. You can get that by clicking on your post title and a page will open with just that post on it. The address in your browser to that page is the right one. To celebrate the start of this new blog party, I’m giving away a $30.00 gift certificate to The Lavender Road! My shop is full of colorful and sweet smelling lavender sachets, and of-course: I made it! We’ll leave this open for new entries until Sunday night and draw a winner from the participants on Monday. You must properly link back to this post to win. Oh! One more thing… since we gave no warning at all, you don’t have to link to brand-new posts… you can use an older post if you want to show it off! Just remember to go back in and add a link to the party. **The winner of the gift certificate to The Lavender Road is Megity’s Handmade! Yay! I’m actually in the process of finishing up a gift for a friend that I’ve been photographing all the way through to make my first tutorial-type blog post! I’m so excited! This just pushes me to get that post finished before Sunday! I am technologically lost! Did I “link back” right? It made a new blogpost…not something within my original post. Please let me know if I’m doing this wrong. Great idea! I don’t have anything ready to link up today, but I’ll definitely participate in the future! I new party to link up too! That’s a nice surprise. I’ll enter the link to your site in my post asap (don’t have access to the account from this pc). A great idea! I love seeing the great projects and talents of other crafters. Go in and edit your post, and at the end or beginning or wherever you want, just add words something like: “We’re taking part in the I Made It! Blog Party at Everything Etsy” , then just highlight the whole sentence and make a link out of it. The button is linked directly to this post, so it should go in your post if you can. You just have to get to the HTML view of your post, then you can add the code under the button wherever you want in your post. I just blogged about this on my site. Great Idea. Ive already had tins of hits from the linky thing tute ! This is awesome! I’m so excited that you are doing this here!!! Thanks!!! sounds great! will have to join soon. 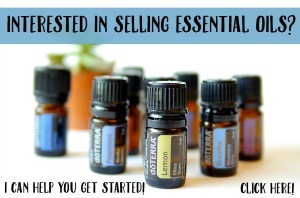 What a great idea…I just blogged about it…and I linked up too! Thanks so much! Thanks for hosting this party–it’s been fun seeing what others are making. Yay! Thanks so much, Kim, for hosting. My link is to a set of paintings I’m turning into prints and putting on Etsy. So your party is just perfect! I just love this!! I posted my link to the new flowers I made! I linked and posted back to this post on my blog! How fun!! Great idea! Wish I had seen Tim’s tutorial about the button first though. Had a little trouble but I think it works now! I just posted on my blog about this party! Thank you! This is the greatest idea. I never have enough time to look through etsy, this will give me a chance a getting a look at many different items. I could really use a lavendar scented sachet too. I have been so tense and stressed out- over what? Who knows it’s not like I have the hard life! @7 is my lucky numer- I love a linky party- this one seems like a good way to see etsy shop owners stuff showcased in real life settings- fun! Wahoo!! This is so fun!! It might make me actually finish some of my projects that I have laying around. Thanks for the par-tay Kim! So wonderful idea and great giveaway!I must now make my one blog ( I am planing this for a very long time and this is one more perfect reason for it). 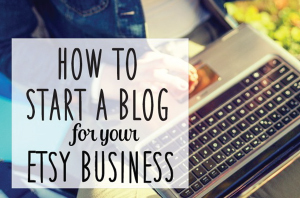 I love the idea and I love a good blog party!! I am excited to check out everyone’s links. I’ve got your button!! Oooooh! I LOVE this party! Kim what a great idea! I will be watching each week to see what people are making. Other than sending you my link and linking my blog post back to yours, how do I participate this Thursday? .-= Jay Neale III´s last blog ..Honey Mesquite Candle Holders =-. I love this! I’m still getting my projects together and need to take pics and such so when that’s done I will definitely be joining! Everyone here is so talented and inspiring! .-= Myda´s last blog ..~ Here Comes The Sun ~ =-.